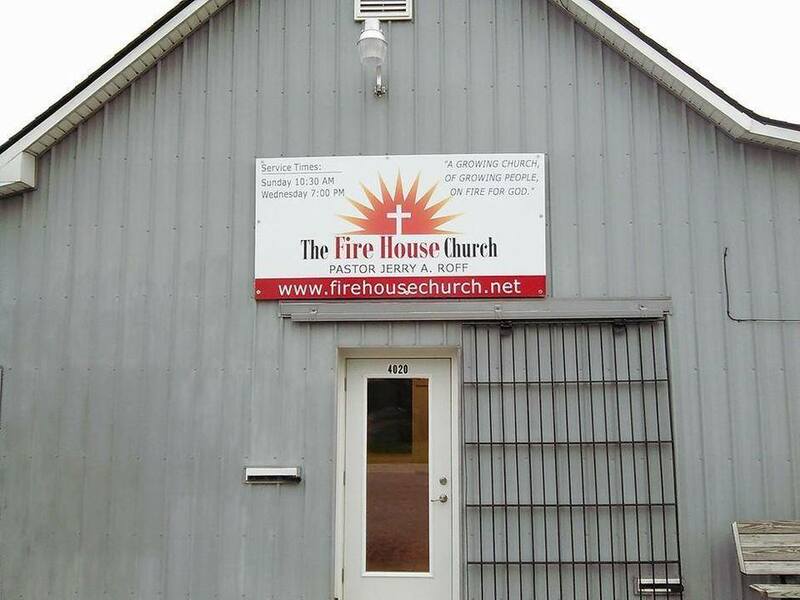 WELCOME TO THE FIRE HOUSE CHURCH MINISTRY WEBSITE. We invite you to check out this website, go to our Youtube site and watch videos of our services. Then we certainly invite you to visit us in person to worship with us to see if The Fire House is to be your new church home. 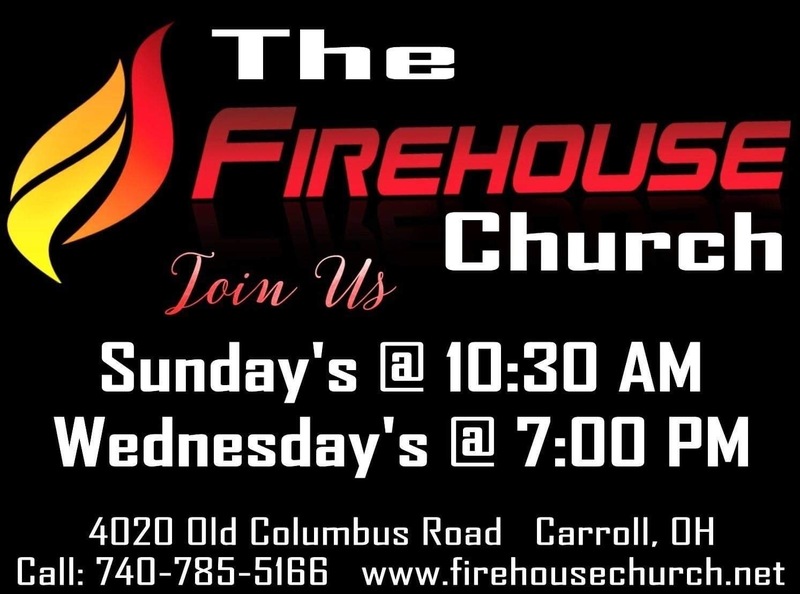 Below is more information about The Fire House Church. Although we have the word "church" as a part of our name we are not a typical church. We are what would some would call an "Apostolic Center" or "Revival Hub". Once you experience some meetings at the Fire House you will understand. In addition to Sunday Meetings, we have several "Outpouring Meetings" through the year where we serve as a "watering hole" for the thirsty to come and drink! If you need refreshed or need your passion back for the Lord you will receive that here. Many of our Sunday morning encounters are more like a "revival meeting". Why the name of "THE FIRE HOUSE"? Hebrews 12:29 tells us "Our God is a consuming fire". In Romans we are told to keep our spiritual fervor! In Acts chapter 2 the Christ followers were baptized with the Holy Ghost and FIRE! They then turned there cities upside down with thousands getting saved, healed and set on fire for God! We are to do the same and we are to house the fire of God! We are to get on fire for God and stay on fire. We are to then spread the fire of God to others. We are a church that loves God and people. We are a loving, friendly, and welcoming church and know that you will feel the love of God here. We are Worshipers!- God seeks those that will worship Him in spirit and in truth. We have exciting, contemporary, and anointed worship that will help usher in the presence of God and will be pleasing to God. We are Presence Based! We desire that the presence of God be felt in our encounters and meetings. Yes we are to live by faith, but you will "feel" the presence of God at the Fire House Church. It is the presence of God that brings peace, comfort, joy, and that will heal, set free and deliver! We are a House of Prayer!- Jesus said His house was to be a house of prayer. It is out of consistent prayer that passion and power comes! From much prayer, comes much power! We understand the importance of prayer and all that prayer accomplishes in our lives and ministry. We are Full Gospel!- If it happened in the New Testament Church we expect it here! We believe in diving healing, casting out devils, the gifts of the Holy Spirit, and praying in tongues! We believe in signs, wonders and miracles. We don't just believe in those things and preach about them, we demonstrate them! We are an Equipping Ministry! The leaders of this Apostolic Center are called of God to equip YOU to do the works of the ministry. This is not a "one man show". It is an apostolic and prophetic team led ministry. We give others the opportunities to use their gifts and minister to one another. We are a Prophetic Ministry- We are to eagerly desire to prophecy, and God is still speaking to groups of people and individuals! We come expecting God to speak to us prophetically as well as through preaching! OUR VISION: to be a Spirit-Filled, Spirit-Empowered and Spirit-Led body of believers that: Know the Scriptures and God's power, that Love and Worship God, that love one another and reach out and make disciples of the lost. OUR MISSION: to bring healing to the hurting, hope to the hopeless, increased faith to the faithful. To provide fellowship and spiritual growth to all that make this church their home. To be an equipping center where God's people are trained, equipped and released to minister.